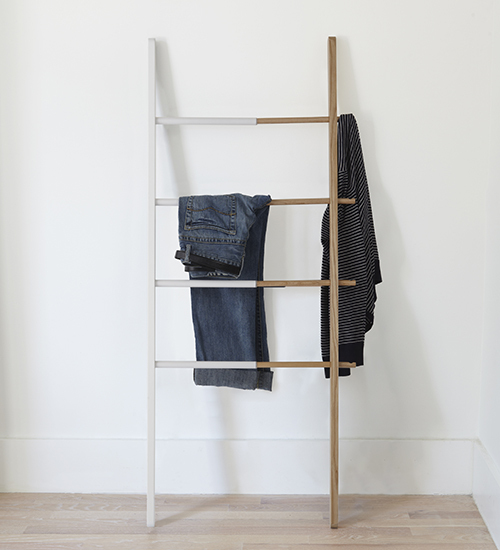 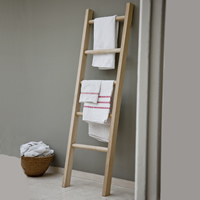 We love our simple yet stylish extendable ash wood and either black or white rubber coated steel storage ladder which gives a modern twist on the traditional leaning towel rail. 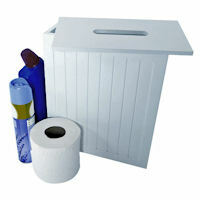 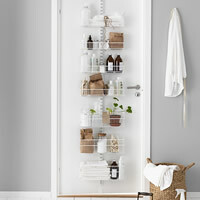 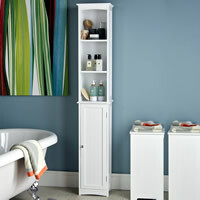 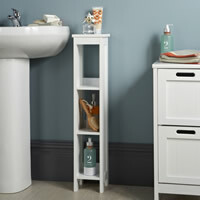 We think it's ideal for using in the bathroom to store and dry towels plus there's four handy notched hooks on the side for dressing gowns etc. 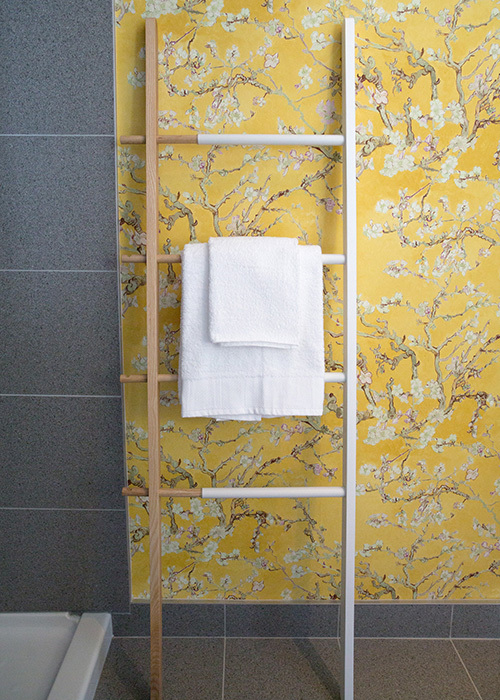 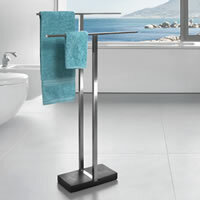 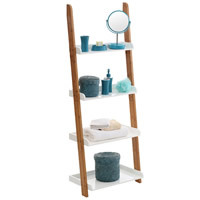 Providing a near instant solution for towel storage, this free-standing towel ladder eliminates the risk of cracking expensive tiles by drilling and will look super stylish in any setting. 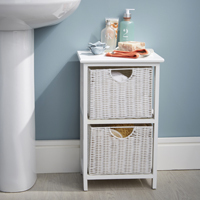 As the width can extend from 40cm up to 61cm it's great for use in tight spaces and some of our Chester STORE customers suggest using it in the corner of a bedroom to store clothes, bags, hats etc.